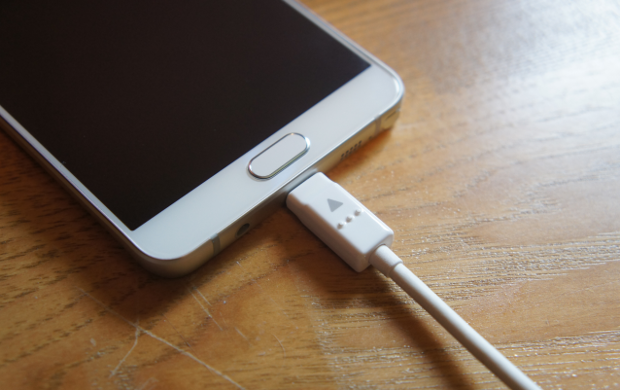 One of the most common issues that we have been receiving from our readers concerning the #Samsung #Galaxy #Note5 is with regard to its power. Sometimes the device will not turn on or it will not charge. There are also instances when it will charge but it does so at a very slow rate. This is what we will be dealing with today as we tackle the Galaxy Note 5 won’t power up, won’t charge, & other power related issues. We have gathered several issues of this nature that we have recently received and have addressed them below. Problem: My phone simply won’t remain powered up. The battery is fully charged but i have to keep it plugged in to ac in order to use it. Solution: In cases where the phone only remains powered up if a charger is connected to it the main culprit is usually the battery. Since this device has a non-replaceable battery you should check other factors that may be causing this problem first before coming to this conclusion. You will want to make sure that the charging port of your phone is free of any dirt or debris first. If necessary, clean this port using a can of compressed air or cotton bud dipped in alcohol. Next, try to check if the phone software is causing this issue. To do this you need to backup your phone data then do a factory reset. If these steps fail to resolve the problem then you need to bring your phone to an authorized service center. You will probably need to have the battery replaced or the there could be an internal hardware component inside the phone that is failing and needs to be replaced. Problem: I’ve noticed that ever since I installed the Android Marshmallow 6.0 update to my phone that the battery drains really fast. If I could get some answers on how to fix this problem, I’d appreciate it very much. Solution: Battery drain issues after a software update are a common problem on the Android platform since many years ago. Since your phone is running on a new software what you will also need to do first is to update your apps. These apps installed in your phone could still be optimized to run on Lollipop and since the device is now on Marshmallow it is not running efficiently which could cause the battery drain issue. To check for updates just open the Google Play Store then go to the “My Apps & Games” section. If an update is available on any of the apps installed in your device you will get the update message. Once all your apps are update make sure to clear the cache of your apps to delete the old software data. To do this go to Settings – Storage and USB – Cached data – OK. If you are still experiencing the battery drain issue then follow after performing the above steps then follow the troubleshooting steps listed below. Flash the stock marshmallow firmware to your device. Solution: This is a potentially dangerous issue as it could cause fire. If the cable gets hot then chances are the negative and positive wires inside are stripped and are touching each other. This causes a short and creates heat. Try to replace the charging cord then check if the issue gets resolved. You should also replace the charging block if the problem persists. If the problem still persists even if you have already tried using a different charger and charging cord then the issue could be on the phone side. Perform the troubleshooting steps listed below to fix the problem. After performing each step check if the issue still persists. Clean the phone charging port using a can of compressed air or cotton bud dipped in alcohol. If the problem still remains at this point then I suggest you bring your phone to an authorized service center and have it checked. Solution: Wiping the cache is one way of fixing this issue. Since that didn’t work I suggest you uninstall the affected apps then download a fresh version from the Google Play Store. After installing the apps check if you are still experiencing the same issue. Another factor you should look into is if a certain third party app installed in your phone is causing this problem. To check if this is the case you need to start your phone in Safe Mode. If the problem does not occur in this mode then it is most likely caused by an app. Find out what app this is and uninstall it. One last troubleshooting step that you can do should the above steps fail is to do a factory reset. Take note that you need to backup your phone data before doing this procedure. Problem: My phone will power cycle randomly. I thought it might be be stuck in a reboot loop, so I cleared the cache, and rebooted the phone. It didn’t change anything. Any solutions? This problem is becoming increasingly annoying! Thanks! Solution: Try starting your phone in Safe Mode then observe if the issue still occurs. If it doesn’t then it’s most likely to be caused by an app you downloaded to your phone. Find out what app this is and uninstall it. If the problem still occurs even in Safe Mode then you should backup your phone data then do a factory reset. Problem: With the new Samsung fast wireless charger the phone starts to charge then after 6 seconds a message comes up wireless charging paused. I had no problems before the marshmallow update. Solution: There are several factors that you need to check which could be causing this issue. Do the following troubleshooting steps listed below then check if the issue occurs. Move to the next step if it remains unresolved. Start your phone in Safe Mode. This disables any app you downloaded on the device and only allows pre-installed apps to run. Check if the issue occurs. If it doesn’t then it could be caused by an app you downloaded. Find out what app this is and uninstall it. Try to activate Daydream mode when charging the phone. This is to check if the issue occurs when the phone sleeps. If your phone has a case installed then remove it. Try to check if the issue occurs when your phone is switched off. If it doesn’t then this could be a software related issue. Try to use a different wireless charger. Solution: Try starting your phone in Safe Mode. From here you can switch off the ultra power saving mode. If a prompt appear letting you choose a launcher then choose Launcher instead of TouchWiz. If the issue still occurs then you will have to backup your phone data then do a factory reset. My galaxy note 5 worked fine last night. Got up this morning phone is red hot to the touch. It will not power on. So I unplugged it to let it cool down. It has been unplugged for an hour and it still is hot.